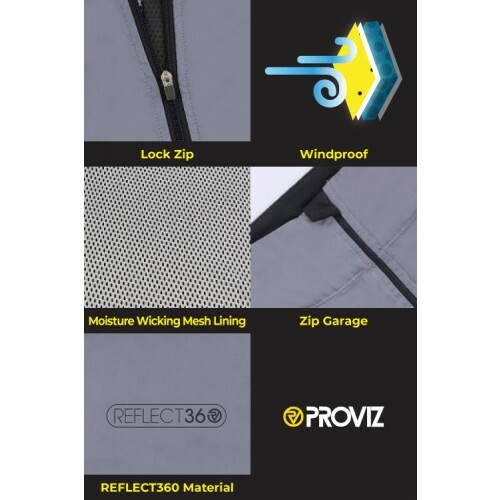 Road.cc: "4.5 / 5 Stars - An excellent jacket for roadies and fast commuters who want to be seen when caught out in the dark...the REFLECT360 material seems more brilliant than ever"
New for the 2018/2019 season, the REFLECT360 performance cycling jacket is designed to go over the top of your regular cycling gear when you are out on the roads when it is dark or when the light quality is poor and vehicles have their lights on and you wish to be more easily seen. 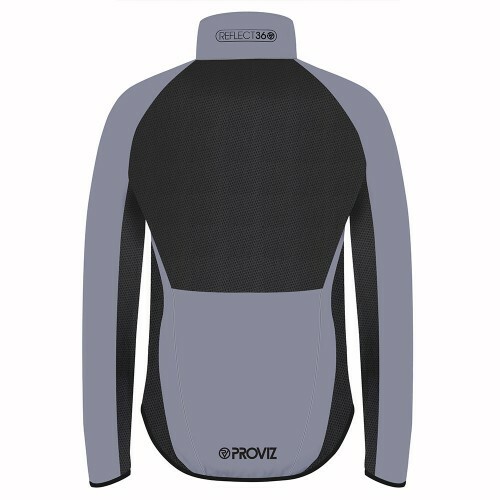 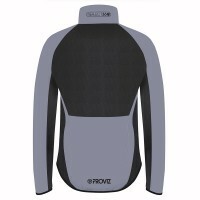 We have positioned our retro-reflective material across the whole of the front of the jacket, the tops of the arms, across the shoulders and the lower back in order to give you a huge amount of surface for headlights to reflect off you. 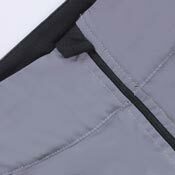 We have built in highly breathable panelling across the main volume of the back and under the arms to allow heat to escape. 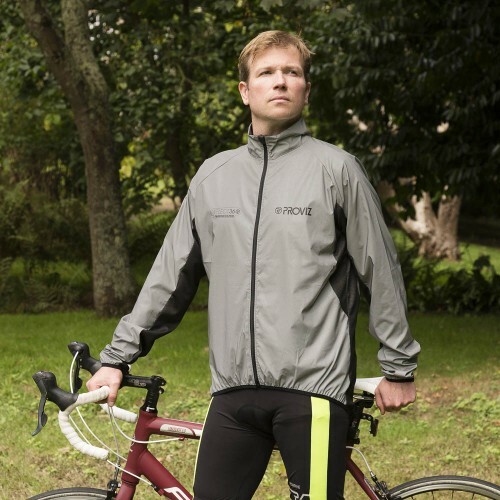 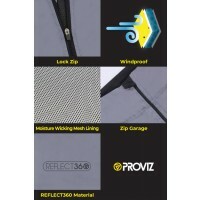 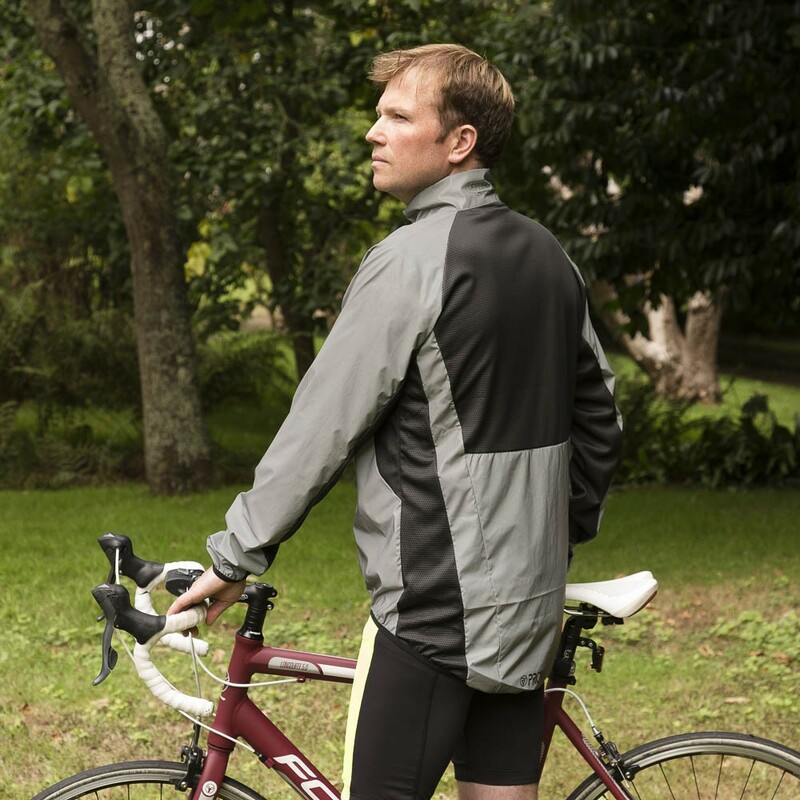 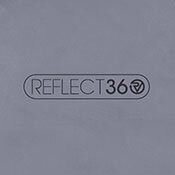 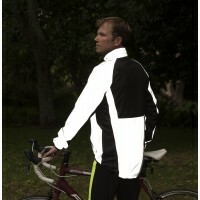 The design of the REFLECT360 Performance cycling jacket is for those customers who require a lightweight outer layer to enhance their visibility in addition to normal wet weather gear. 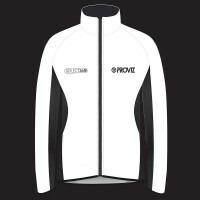 We have focused on keeping the design simple and minimalist so that it can be put on as soon as the light fades and you wish to defy the darkness! 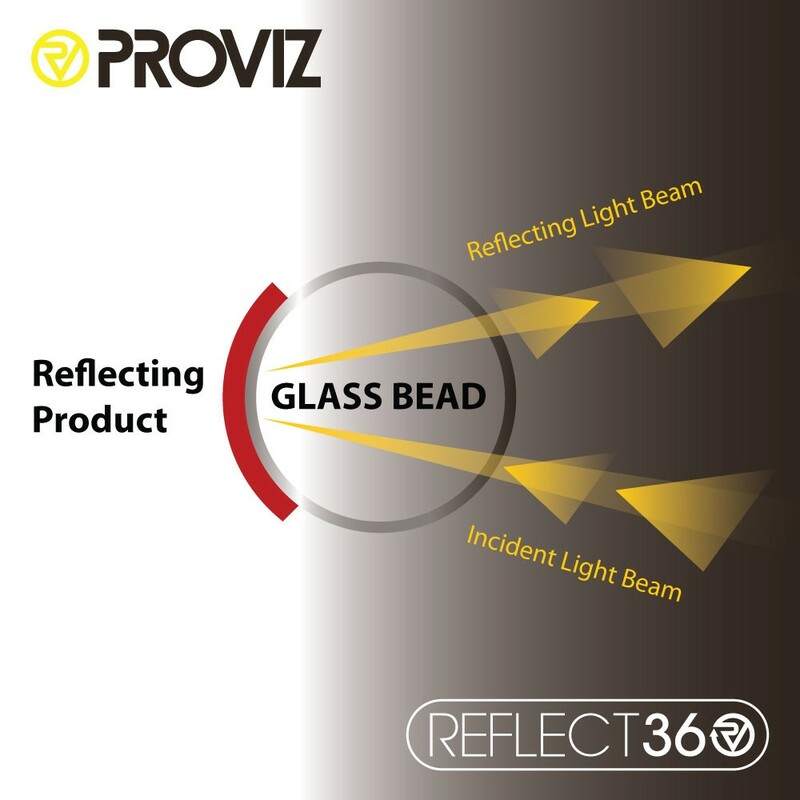 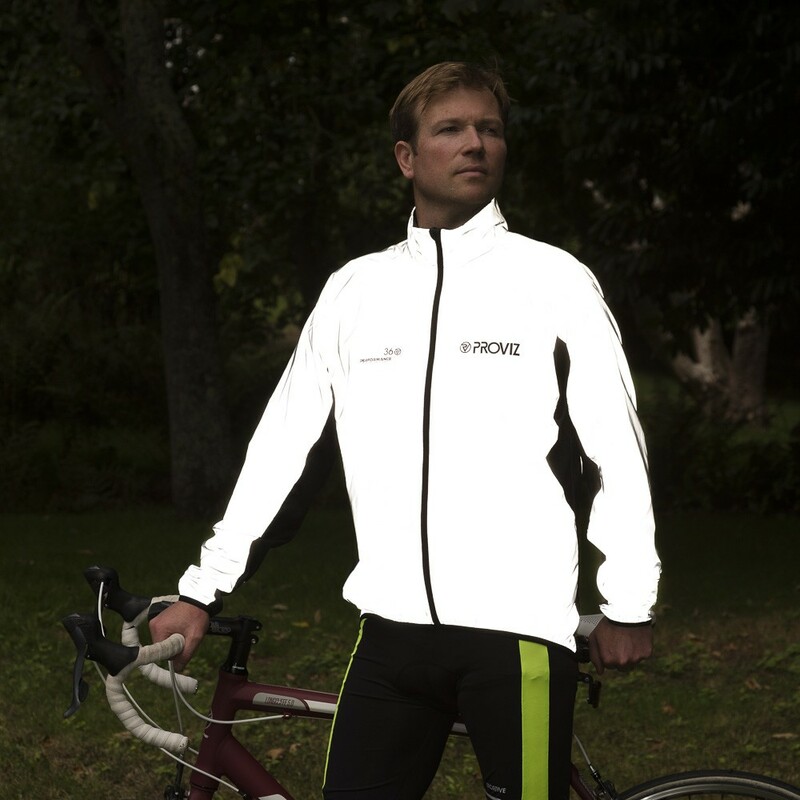 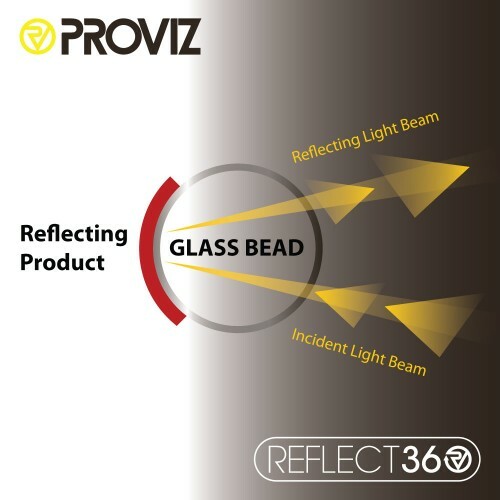 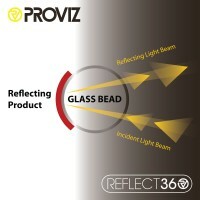 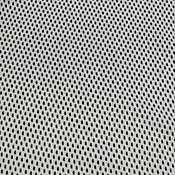 Utilising millions of tiny, highly reflective glass beads, the innovative material used for the REFLECT360 Performance Cycling Jacket is exceptionally visible when lights are shined upon it making you appear bright white when caught in a vehicle’s headlights. 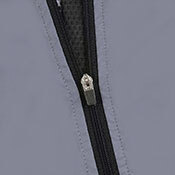 A simple feature that makes a big difference, the lock zip ensures that the zip does not slide down when you are out on your ride. 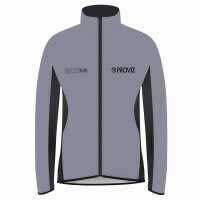 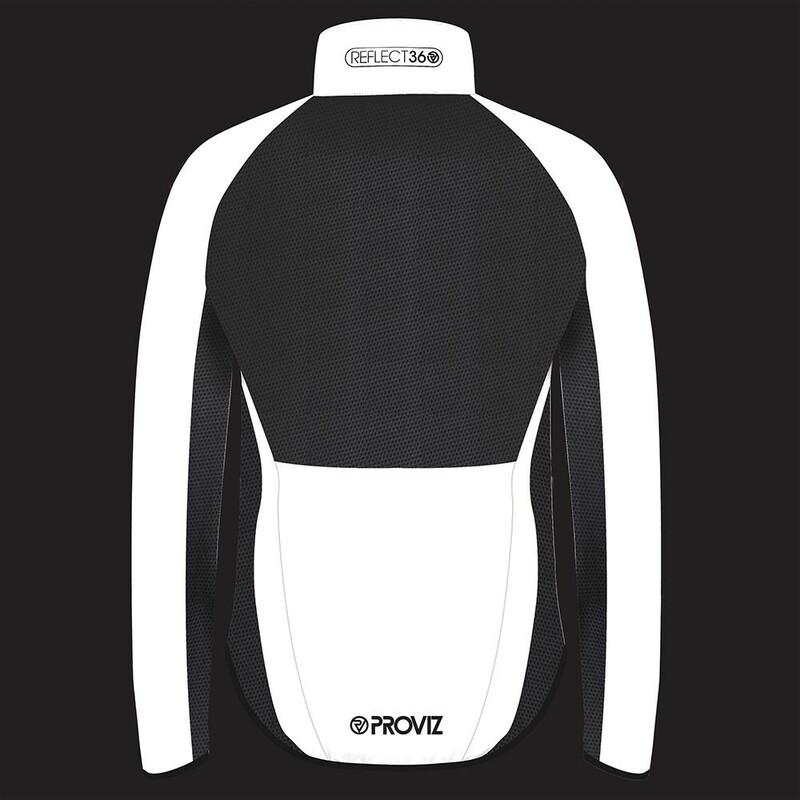 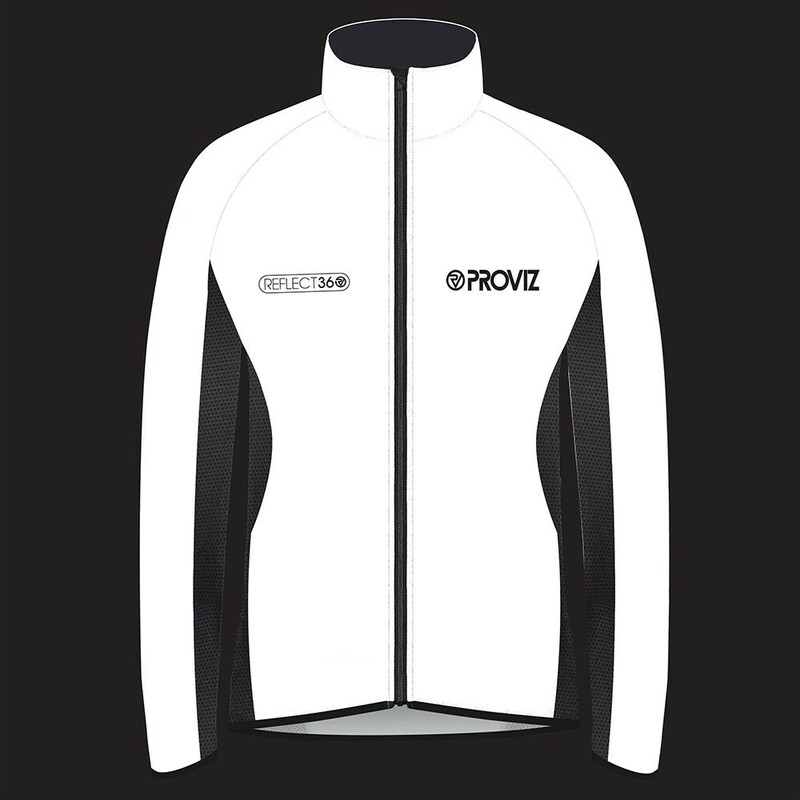 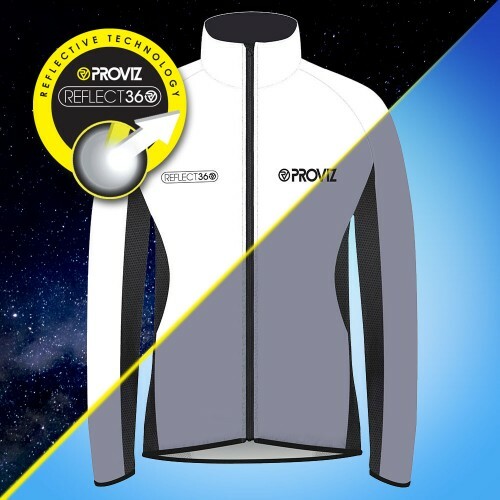 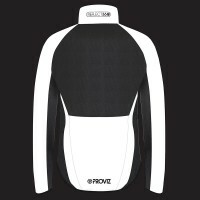 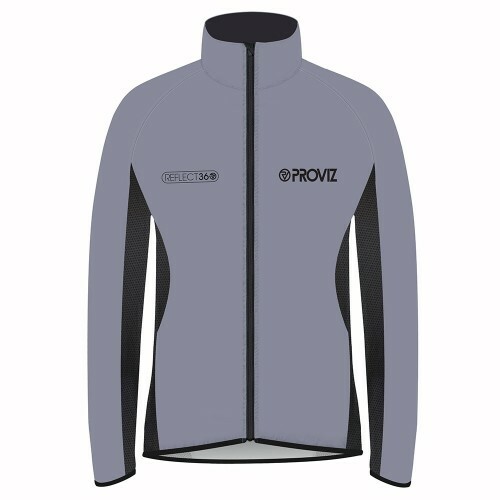 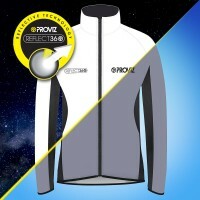 The REFLECT360 Performance Cycling jacket has a soft-touch, moisture wicking mesh lining across the back and under arms which acts as a climate control mechanism, increasing airflow to aid cooling. 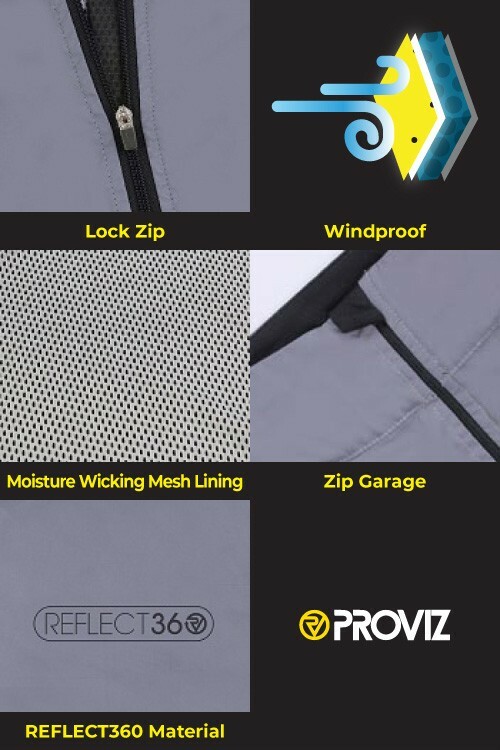 Another feature expressly included to keep you comfortable in the REFLECT360 Performance Cycling jacket on cold days is the zip garage, which helps to protect against neck chafing when your jacket is fully zipped up.